For our current investors please click here to login to the investor portal and join the discussions. As awareness about the Sknow device grows, we want to ensure that those new to our development have an opportunity to understand how the device works. We are sharing a white-paper written by our team that was published at the International Snow Science Workshop held in Innsbruck, Austria last fall. This paper aims to answer the most common questions we receive about our device. In light of Think Outside’s growth and in preparation to scale further during the next winter season, the Management and Board have decided to strengthen the team by the hiring a Chief Financial Officer (CFO). It is a pleasure to announce that Bjørnar Mykkeltvedt will join Think Outside as CFO. We are proud to announce that we have been awarded a BIA grant for 12M NOK by the Norwegian Research Council for further development of Sknow Technology! The Research Council states that BIA, ”supports high-quality R&D projects with good business and socio-economic potential” . We will be working with world class partners such as SINTEF, NGI, CodeLab and Åsnes Ski. We are honored that the Research Council sees the value of Sknow and we are excited to get started with the next round of R&D. So that you all get to know our first handpicked beta-testers, Think Outside have interviewed the first group of experts using the Sknow technology. First out is Martin Indreiten, from Svalbard and UNIS. In the interview we get to know more about Martin and his relation to skiing and avalanche safety. ‘If I could choose, I would travel to a place where there is snow rather than to a warm destination‘. Think Outside is now VC-backed as Butterfly Ventures have made their first investment in Norway in Think Outside. This concludes the Companie's Pre-Seed round and makes the basis for the upcoming Seed Round. If you want to be included in the Seed Round, please contact CEO Monica Vaksdal or the Board Chairman Kelly Moulton, Chair Members Sverre Gjessing and Morten Alskog. Think Outside was named the worlds third most creative startup company in 2018! Last weekend Think Outside represented Norway in the Creative Business Cup global final. The competition took place in Copenhagen Denmark, and after two days of fierce competition Think Outside came in third place among 60 participants. We are so honored that the global community understand the impact we can have both to save lives and contribute to climate change research. Think Outside have changed the name of the first product from Dingo to Sknow. The new name and logo is more representable of the invention, and we are very happy with the change. The technology is still the same, it just has a new name. ‘H2020 is a Champions League for Small and Medium sized Enterprises (SME). This is for companies with global ambitions and solutions with growth and scale potentials. 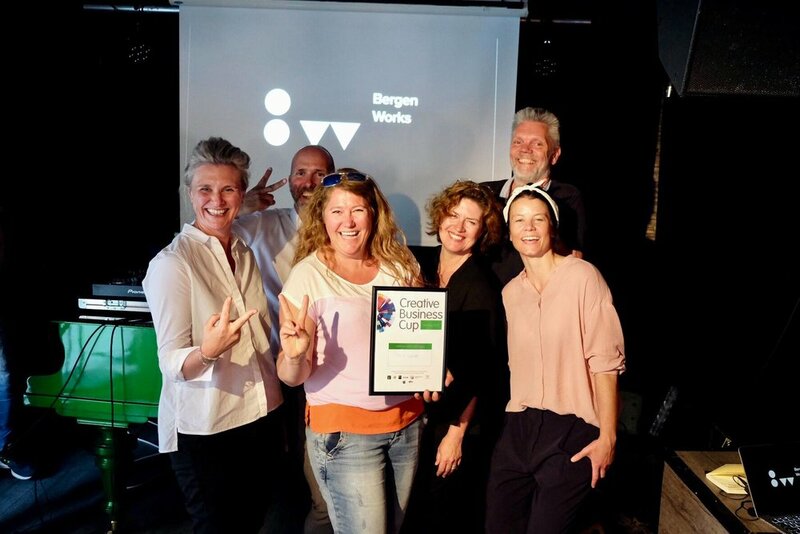 Only one other company in the region of Hordaland, Norway has achieved this grant`, says senior advisor Ingvild Håvardstun Kjørrefjord in Innovation Norway. Think Outside won the creative business cup In Norway. On June 12th Think Outside participated in the Norwegian finals of the Creative Business Cup. The competition took place at Startup Extreme, with regional winners from around the country participating. Think Outside took home first prize, and will now compete in the global finals this November in Copenhagen Denmark. After one year of research we are happy to announce that the first part of the Sknow(previously called Dingo) technology design is finished. The final measurements exceeded our wildest expectations! These measurements show that we can analyze the snow layers and the snow conditions. On Tuesday May 22 Think Outside participated in the semi-finals of the creative business cup in Bergen Norway. There was tough competition but Think Outside won and will be advancing to the Norwegian finals on June 12th. The finals will take place at the StartUp Extreme conference in Bergen Norway. A paper by Dr. Marcus Landschulze, Head of Research at Think Outside, has been accepted for publication in Near Surface Geophysics on seismic wave propagation in floating ice sheets. Signal data processing collected from arctic sea ice or snow is often challenging. The presented results demonstrate that forward modeling can provide improved detail in the generated wave field and helps to design a sufficient processing-workflow and more accurate signal processing results. This work was funded by The Research Centre for Arctic Petroleum Exploration, ARCEx. A link to the article will be posted upon publishing. 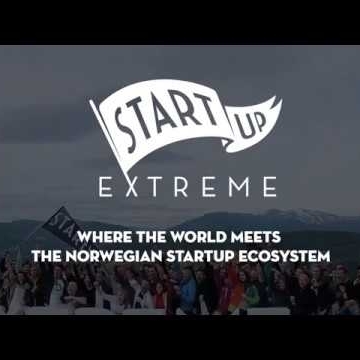 On June 11-14 Think Outside will be participating in Norway's largest startup event, StartUp Extreme. CEO Monica Vaksdal will be holding a key-note speech about her experience leaving the oil industry and starting a company. CCO Deborah Karlsen will be presenting the company to a group of specially invited investors and members of Innovation Norway in Voss on June 13th. We are exited to be a part of such an important conference for the Norwegian start-up community. Measurements are being taken at Christian Michelsen Research (CMR) to finish the current research project. Over the last 6 months Think Outside, together with CMR and Prototech have conducted a feasibility study on our new Sknow technology. The study is being concluded and proof of concept is being achieved.